With the current investment of $2.5 billion from the United Arab Emirates (UAE), Bangladesh wants to have more such cooperation from the Gulf country. In the last fiscal, the bilateral trade reached $1.2 billion and Bangladesh wants to increase the figure with more products. Manpower is another area where Dhaka wants to have more cooperation with the Gulf country. These are the areas which Bangladesh along with building political relationship would like to discuss with the UAE when Prime Minister Sheikh Hasina will visit the country next week. She will travel to Abu Dhabi to attend IDEX (International Defence Exhibition) and will have bilateral meetings with UAE Crown prince Mohammed bin Zayed Al Nahyan and Prime Minister Mohammed bin Rashid Al Maktoum. Bangladesh wants to tap investment from UAE, which according to a foreign ministry official has “a huge surplus of liquidity”. Bangladesh is developing 100 special economic zones and the UAE can avail one of them exclusively for their investors, he added. The Gulf country also has expertise in semiconductor and both the countries can be benefitted if investment flows in on the sector, the official said. They can also invest in tourism sector and develop tourist spots in Bangladesh, he said. The UAE has investment in ceramics, fertilizer, banking and other sectors in Bangladesh. At present the bilateral trade is heavily tilted to the UAE as Bangladesh imports petroleum products from the country. Bangladesh’s export to the Gulf nation stood at $400 million while imports at $800 billion in the last fiscal. “We mainly export readymade garments, vegetable and some other non-traditional items and those are no match for the import,” said another official. UAE has opened up its labour market for 19 categories under domestic help and Bangladesh wants to expand it to skilled and non-skilled categories. “Under the domestic help category, driver, gardener, cook, house-maid and other can have jobs and we want to expand it,” he said. Bangladesh and the UAE have signed two legal instruments to bring back convicted Bangladeshis and share information before any Bangladeshi leave for the Gulf country and that should help the negotiation, he added. “A good number of Bangladeshis are now in UAE jails and it makes our life little bit difficult when we negotiate about labour market expansion,” the official said. The UAE wants to increase its flight frequency and currently is negotiating with Bangladesh. Emirates and Fly Dubai have robust operations in Bangladesh and they want to increase their flight frequency, said another official. 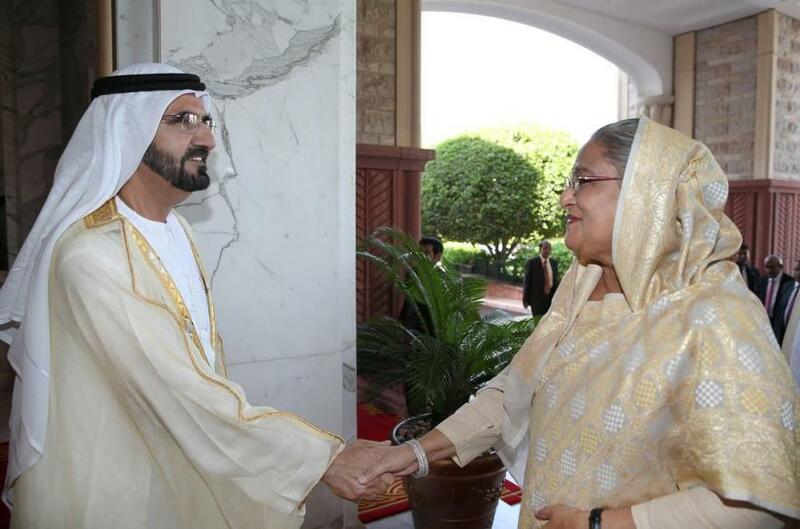 The UAE is willing to set up a hospital in Chittagong and Bangladesh welcomes that, he said. Bangladesh has already given a piece of land to the country for setting up the hospital, he added. Bangladesh wants to have more defence cooperation in the non-combat area where the UAE has interest. Another official said, information sharing, training, taking part in exercise and other areas where we can have defence cooperation, said another official.